Work in tech sales? 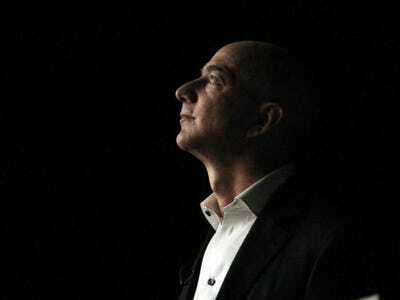 Amazon CEO Jeff Bezos wants you. We just noticed something interesting: Amazon has about 75 job openings in sales related to Amazon Web Services, its cloud-computing business.That’s big compared to its current workforce. LinkedIn lists about 100 Amazon employees whose job function is in sales and whose profiles mention Amazon Web Services. When Amazon Web Services launched in 2006, it was mostly a self-service offering targeted at Web developers who wanted to rent computing power, bandwidth, and storage, rather than buy their own hardware. It has become an indispensable part of the modern startup—and for coders, part of the attraction was that you could just sign yourself up with a credit card and not deal with salespeople. But now Amazon is increasingly competing with computing giants like IBM, Oracle, HP, and Microsoft, who want to keep corporate customers’ business as they shift operations to the cloud. So it makes sense for Amazon would want to build up a traditional enterprise sales force. A handful of AWS salespeople have been in place since 2009. But it looks like the first serious hiring took place in 2011, with experienced salespeople like 10-year Microsoft veteran Darren Mowry joining. Most of the junior salespeople we spotted on Linkedin appeared to have joined in recent months. Amazon also has Dell, HP, and VMware alumni selling its Web offerings. Sales jobs seem to be concentrated in Seattle, Wash.; San Francisco; Los Angeles; New York; and northern Virginia, where Amazon has a major East Coast data centre. Amazon has job listings in those cities and for positions around the world, suggesting an international expansion of the sales effort.